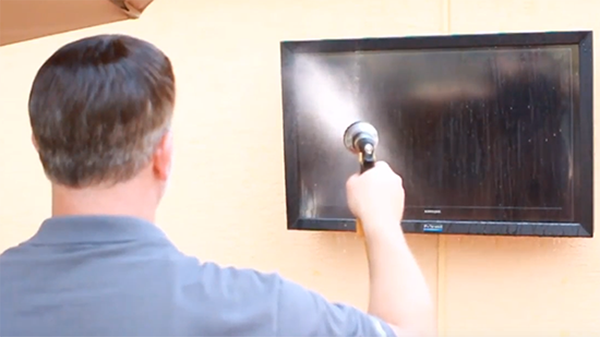 The leading cause of unnecessary damage to the polycarbonate front shields used in your The TV Shield or The Display Shield is the use of improper cleaners or improper cleaning techniques. Fortunately, a little know how can go a long way, keep your shields clear and maximize your product durability. For general cleaning, it's always best to start with warm water to remove surface materials, including grit, grime and dust. Follow up with a soft microfiber cloth and gently wash the front shield with a mild diluted soap (Palmolive Liquid, Windex Ammonia Free, 409). Rinse with clean lukewarm water. 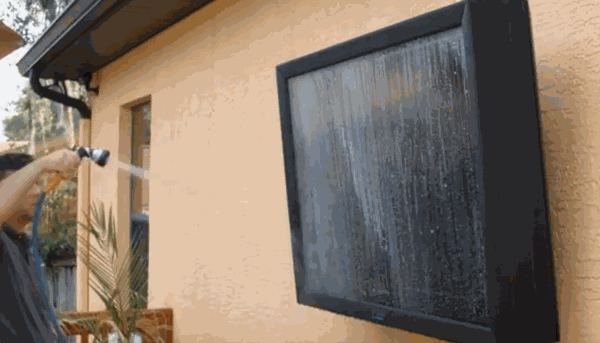 Be sure to dry the polycarbonate thoroughly using a soft microfiber cloth to avoid spotting. Do so in an up and down motion, not a circular or side-to-side motion. If your polycarbonate has tougher materials like oil and tar, start with a thorough soaking of clean water. That should begin to remove the surface materials. Gently rub the areas using a soft microfiber cloth that is diluted with isopropyl alcohol and water (mixture of 50/50). Rinse the 50/50 mixture thoroughly with lukewarm water. Again, be sure to thoroughly dry the polycarbonate to avoid spots. Wipe the shield using a soft microfiber cloth in an up and down motion, not a circular or side-to-side motion. IMPORTANT: Remember, using improper cleaners or techniques will result in damage to your polycarbonate. If your polycarbonate has a sticker or adhesive you want to remove, use Isopropyl alcohol or kerosene along with lukewarm water. Rinse with clean lukewarm water and dry with a soft cloth. It's quite possible that your polycarbonate could be vandalized depending on your application. Things like paint, markers and graffiti come to mind. Follow the process above to start by rinsing away surface grit with warm water. Gently rub the impacted areas with Isopropyl alcohol and your soft, microfiber cloth. NOTE: Solvent cleaning solutions should not be used in hot temperatures or under direct sunlight. Lastly, rinse with clean, lukewarm water and thoroughly dry the shield using an up and down motion. Failure to rinse properly will result in spotting.